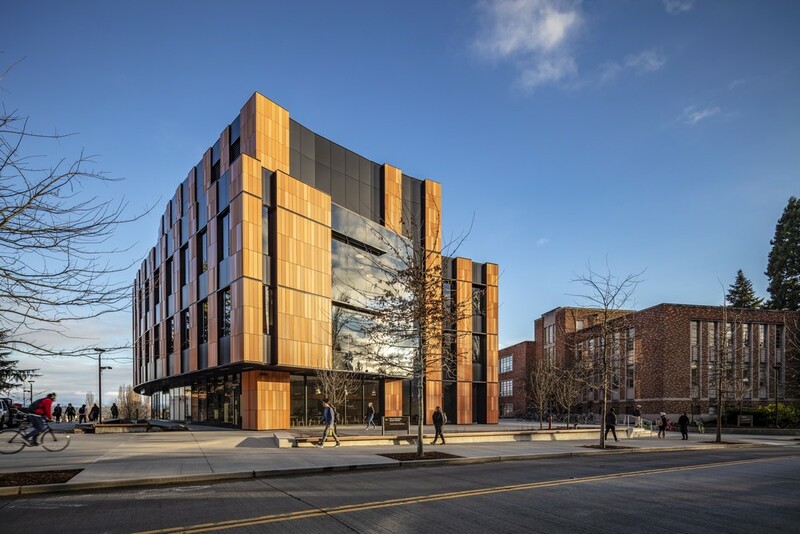 Seattle, Washington – March 26th, 2019 – LMN Architects is pleased to announce the completion and opening of the new Bill & Melinda Gates Center for Computer Science & Engineering at the University of Washington in Seattle. The building establishes a new standard for the study of computer science designed to attract a broad and diverse student population, while also enhancing the School’s connections to the campus, community, and thriving tech sector. 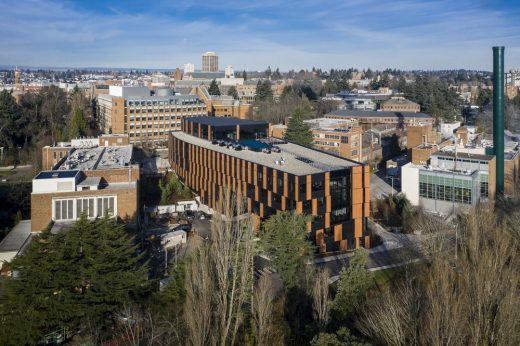 The new building fulfills a soaring demand for Computer Science education in the Pacific Northwest, and through its design, aims to enrich the diversity of talent that is so heavily in demand across the globe. 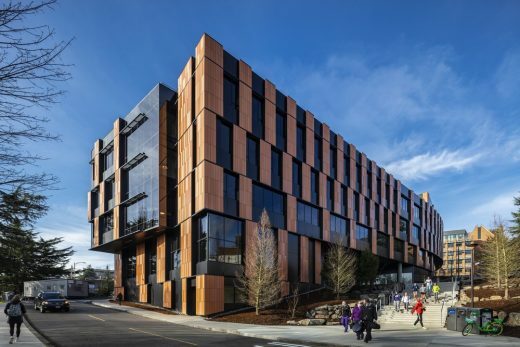 The Paul G. Allen School of Computer Science and Engineering has experienced a dramatic rise in stature since 2003, when the existing 165,000 square foot Paul G. Allen Center for Computer Science & Engineering, also designed by LMN Architects, was completed. 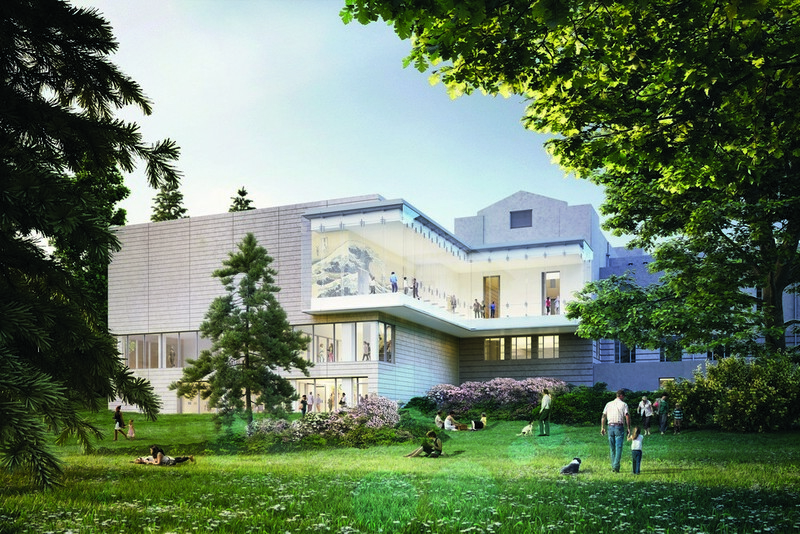 The design of the new Bill & Melinda Gates Center supports the School’s mission to foster interdisciplinary collaboration and offers a contemporary vision for the future. 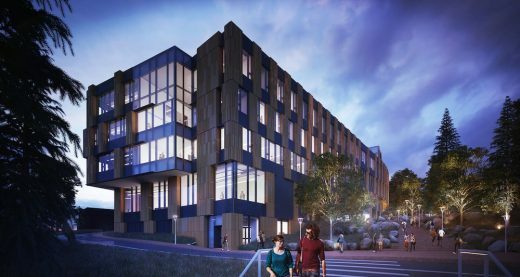 The Gates Center greatly expands the current capacity of the school, providing critical research spaces, classrooms and lecture spaces, faculty offices, and a new home to the School’s undergraduate majors. 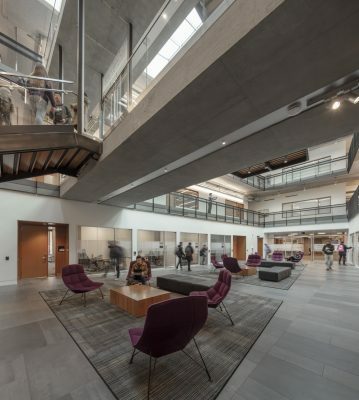 At the heart of the building is a large central atrium that provides visual and physical connections to all floors, and acts as the school’s cultural hub. 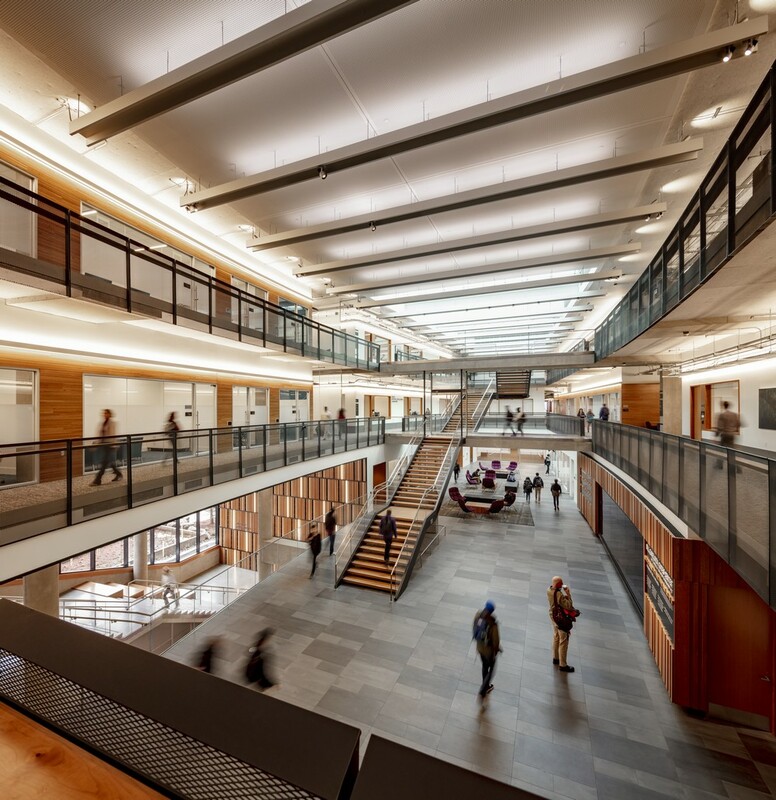 This daylight atrium is an important social incubator in this technology-centered environment, fostering connections between students, encouraging interaction among teams, and reflecting the department’s culture of innovation and collaboration across disciplines. 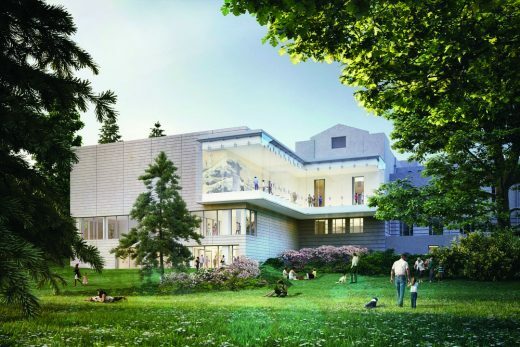 A roof-level event center will support a wide range of educational needs, industry collaborations, and outreach functions, and provides a signature experience with its sweeping views over the campus, Lake Washington and the Cascade Mountains beyond. 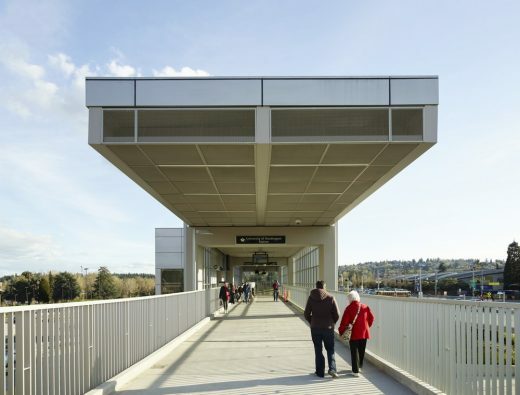 In a dense campus precinct surrounded by engineering buildings, the expansion site interacts with the existing facility across Stevens Way—a major campus corridor shared by cars, buses, pedestrians, and bicycles—requiring a holistic approach to integrating campus circulation into the two-building program. A pedestrian circulation path through the steeply sloped, forested site crosses Stevens Way as well as two service roads as it approaches the Burke-Gilman Trail, forming a critical axial connection between Drumheller Fountain at the center of campus and the athletic facilities on the East Campus. Departing from the minimal, bare spaces typically associated with the technology sector, the UW Computer Science and Engineering buildings offer a warm, welcoming, and accessible environment for students, researchers, and faculty. 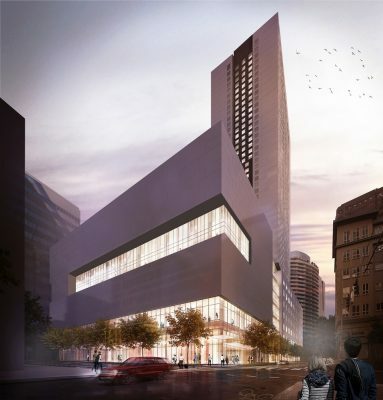 The expansion building features a two-sided curving form that responds to the unique topography and flow of campus circulation. A richly detailed building façade system of terra cotta panels in four texture types juxtaposes against crisp, modern black glass and metal, providing sun shading while framing the intermixed nature of the program within. The building is designed to enrich its surrounding district and foster a connection to the broader campus community. 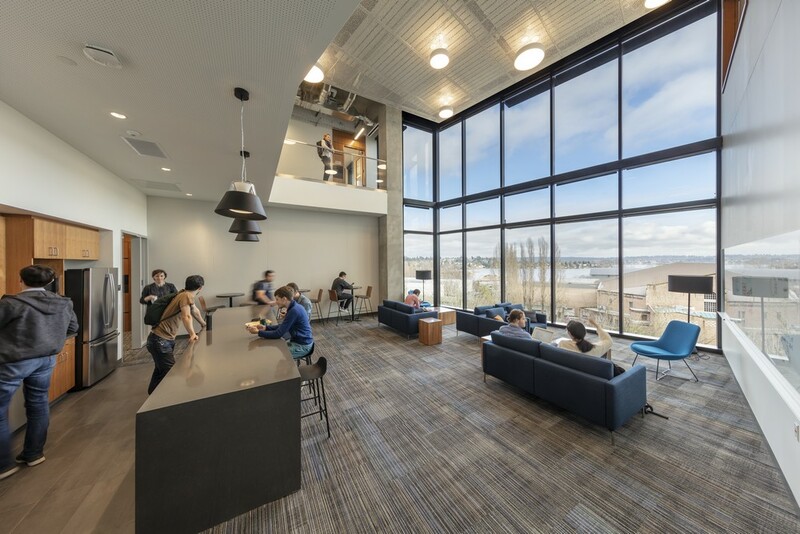 A cafe activates the primary entry at Stevens Way, transitioning between the exterior landscape to the sky lit central atrium with visual and circulation connections to all floors and program functions. 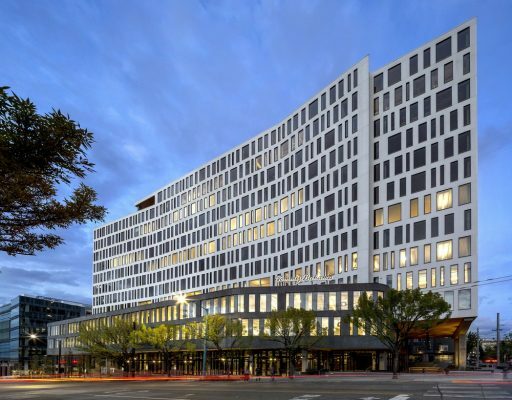 The shared plaza continues through a series of stepped elevations offering building entries at multiple locations along the north side of the building, remaining porous with the open circulation of the atrium while fully remaking the existing pedestrian path with natural edges defined by boulders and lush vegetation. LMN Architects is a leader in the design of higher education facilities across the United States. 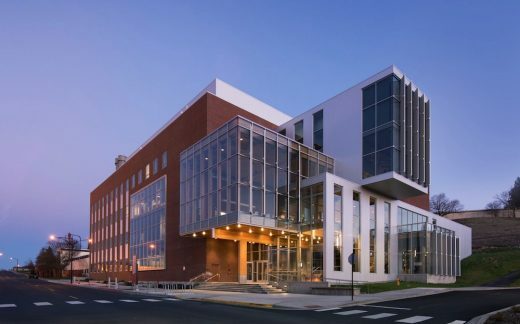 Other completed projects include the Foster School of Business at the University of Washington; the Voxman Music Building at the University of Iowa in Iowa City; the Anteater Learning Pavilion at the University of California, Irvine; and the Huntsman School of Business Addition at Utah State University in Logan, Utah. 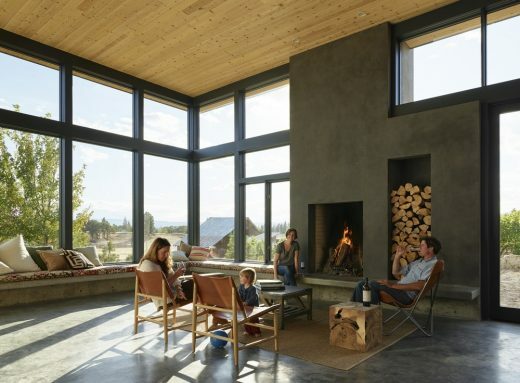 Major Building Materials: Terracotta, glass, composite aluminum panel, concrete, cherry wood, and steel. 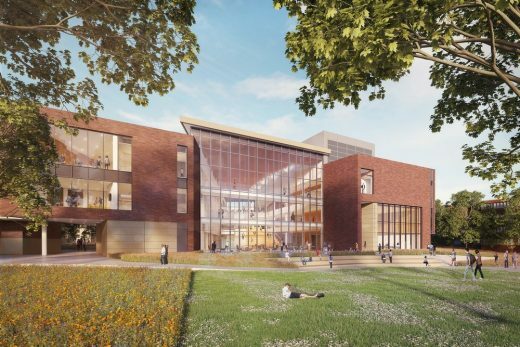 Computer Science building for undergraduate and graduate students with 3 Classrooms, 4 Seminar Rooms, 1 Lecture Hall, Undergraduate Commons, Advising Suite, Capstone Workrooms, Graduate Workrooms, Robotics Laboratory, Artificial Intelligence Laboratory, Faculty Offices, Café and Event Center.